Wheelin’ For Hope Trail Ride | Capital Off Road Enthusiasts, Inc.
Wow! 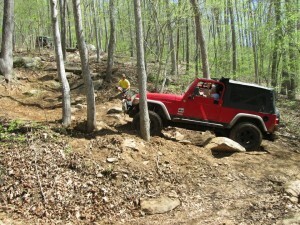 What a great weekend on the trails and at the same time supporting a great cause. 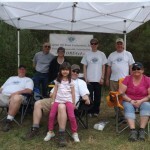 Several members of CORE participated in the annual Wheelin’ for Hope. This event has been organized and hosted by the Woodland Wildfires of the Relay for Life of Nelson County, Virginia for the past five years. Since its inception Wheelin’ for Hope has raised and donated somewhere around $60,000 to the American Cancer Society (ACS). The entire group does an outstanding job putting this event together. …caught their breath and cleaned their rigs’ seats. 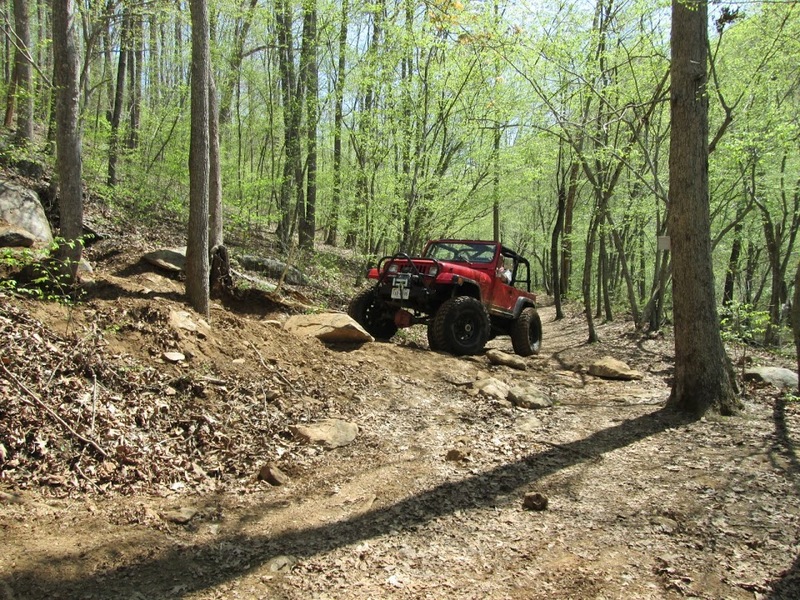 Of the 40 odd something miles of trails located on the Oak Ridge Estate we covered at least 30 of those miles during the two day event. As in the past participation was limited to the first 200 vehicles to be registered. All 200 slots were filled by the end of January. A record. 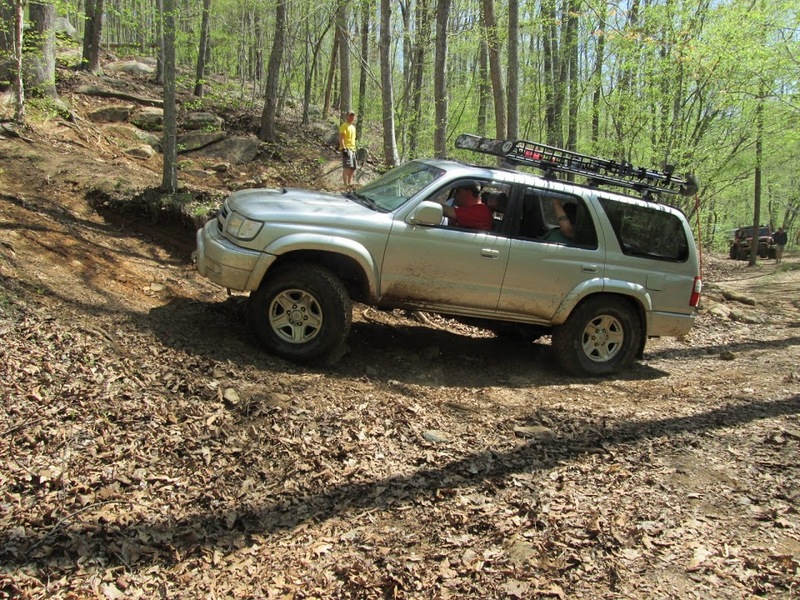 There was a wait list established with several off road enthusiasts waiting for an open slot to become available. I am not sure if anyone on the wait list ever got a ticket. So what does that tell you? Don’t wait, register early for next year’s event. You will be glad you did. 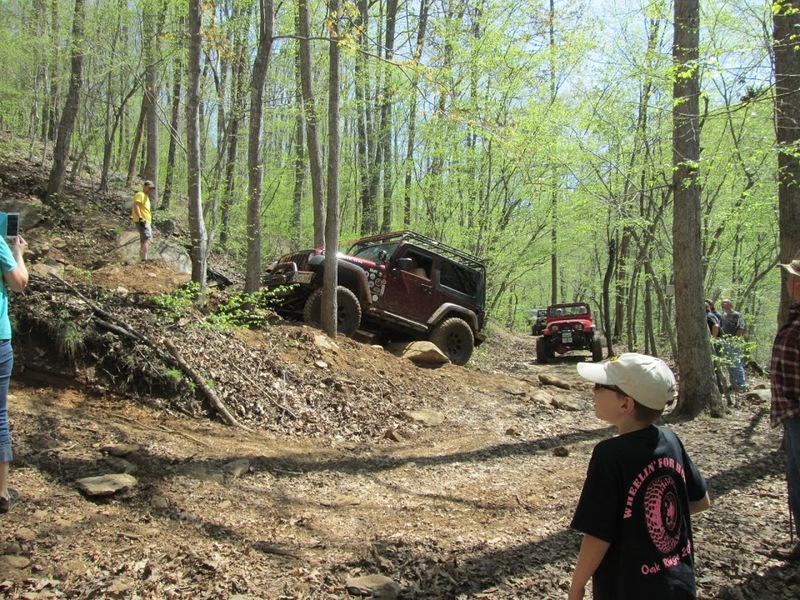 The registration gets you on the trails, free camping, a t-shirt, and a meal ticket for Saturday evening dinner. Tiny’s Catering provided the grub again this year and as usual it was tasty and plenty to go round. Tiny’s even provided the cold drinks. After the Saturday dinner was the raffle. But I digress, I should tell a little about the trail ride itself. We had done our research and found out which group our trail guides from last year’s ride would be leading this year. Saturday morning we all lined up in line #10 where we found trail guides Herb Coulter and Mike Crandall. I also noticed several people from our group last year were with us again this year. Now that tells you something about the guides in line #10. I want to say from the start these are two of the best trail guides I have ever been associated with. As usual the mandatory drivers’ meeting was held with Chris Boucher explaining the rules and then we had the blessing of the beasts. Tim Burnett, the MC, introduced the trail guides who were all dressed “pretty in pink”. 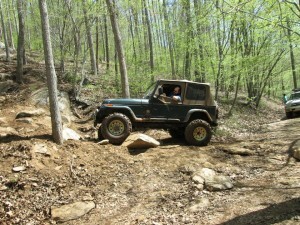 Herb informed us that we would be the second group out to head for the trails. 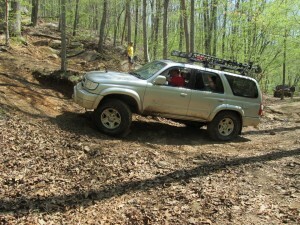 Our entry point onto the first trail would be across the road from the event camp ground. If my notes are correct this was the Quarry Trail. Someone came over the CB at one point and said something about back in the day the area around the trail was a huge pumpkin patch. The Great Pumpkin’s original home I suppose. 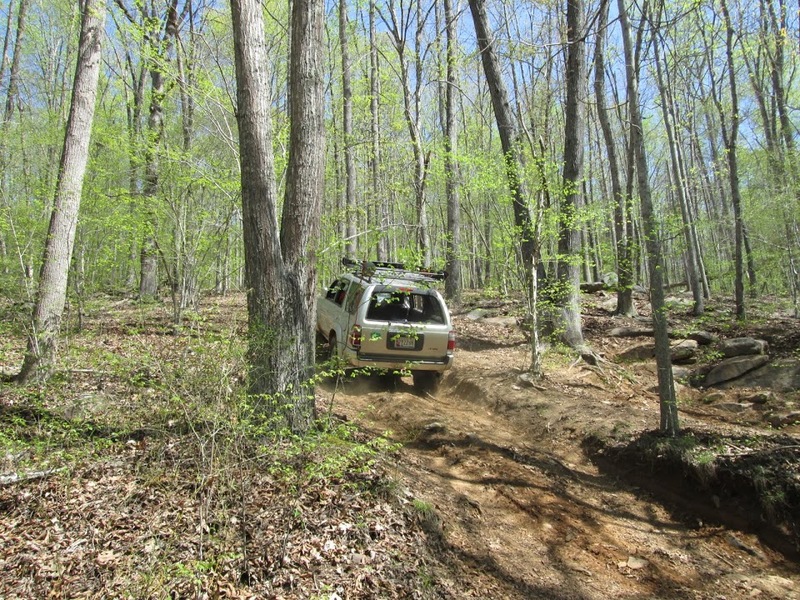 As we continued on the trail it became a little narrow with brush extending out into the trail. I think every rig received new Oak Ridge pin stripping. The trail also started to become a little slick with wet mud and made downhill travel very exciting. At one point I was holding on with both hands and feet and any other body part that had grasping capability. And I was the one driving. Herb led the group to a rock formation to let those who wanted to try their rigs’ and their capabilities. 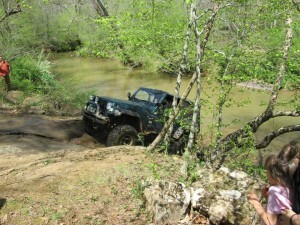 After some play time Herb led us up the trail to a creek crossing. Simple crossing you would think. But nooo. 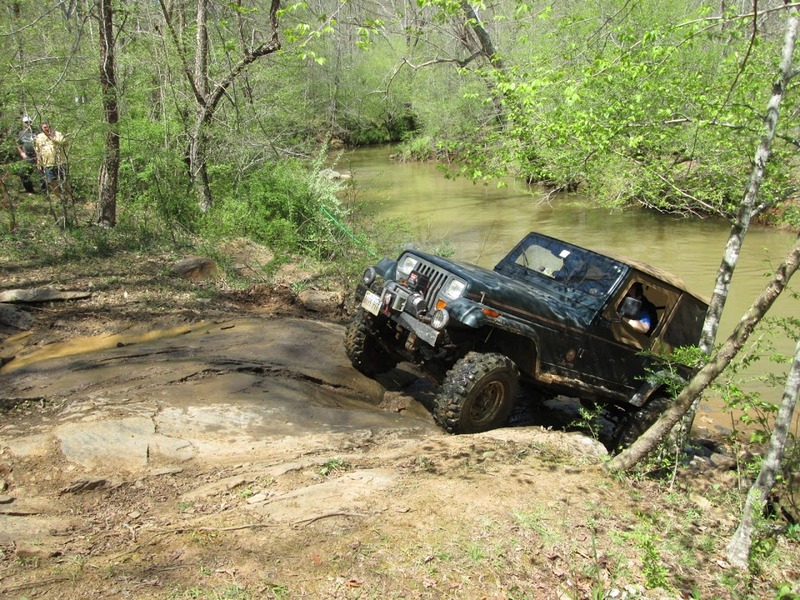 To get to the creek you first have to slide, yes slide, nose first down a steep muddy and clay slick bank of about 20 feet. 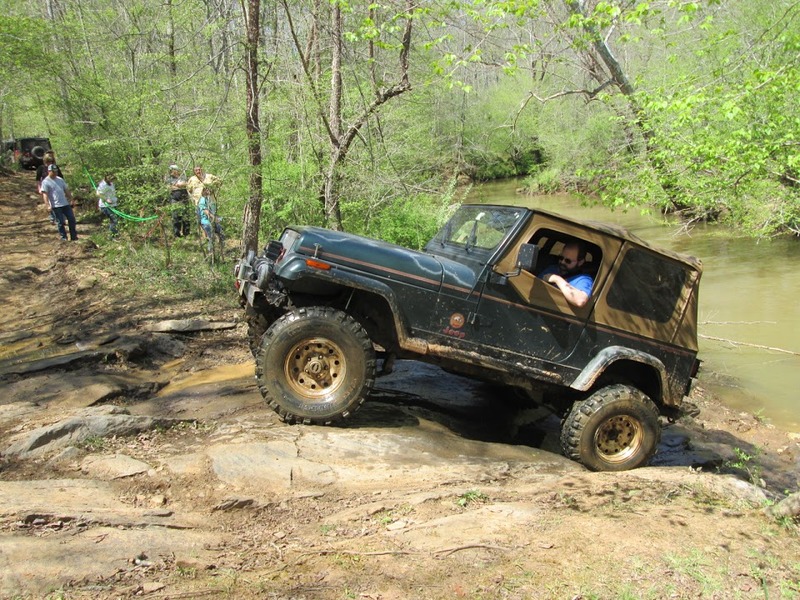 Once you slid down it was a hard hit into the creek bottom with the front bumper. 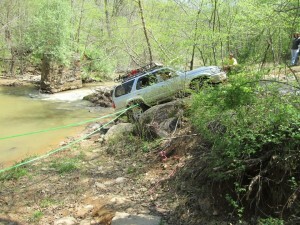 Oh, I forgot to mention as you were sliding down the bank one or both of your rear wheels may have been off the ground. 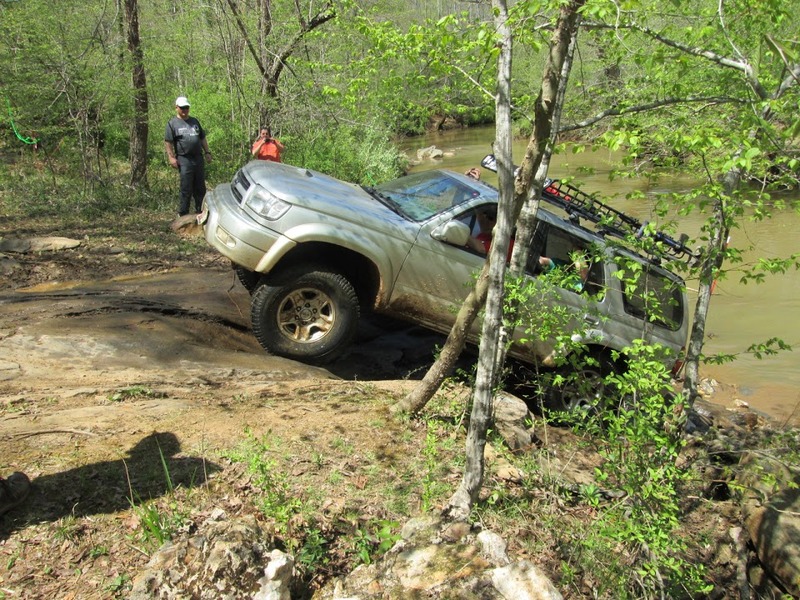 After hitting the creek bed it was a right then left hand zig-zag through the creek to the opposite bank. 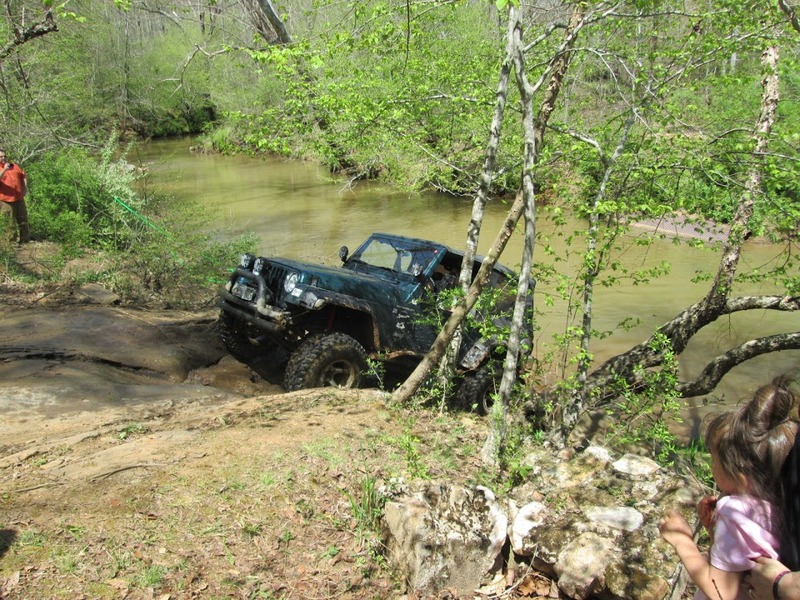 I was happy I was the third rig through as more rigs hit the rocks at the bottom of the bank the more rocks got pushed out and made a deep hole. I believe it got so bad a couple guys decided not to attempt the crossing. We eventually came back for them via a different route. 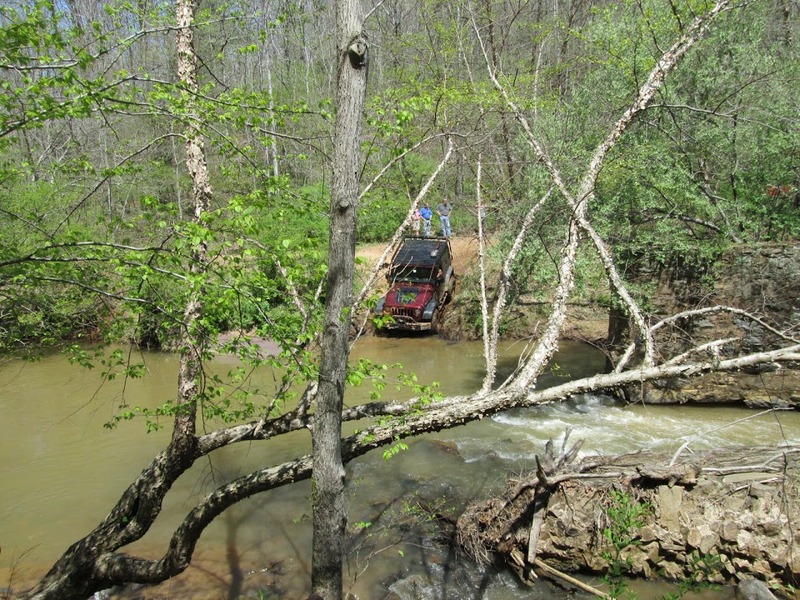 We proceeded on after those who did get across the creek had caught their breath and cleaned their rigs’ seats. We were led to another rock cropping were again those wanting to could play for a while. We had lunch on the return trip off the trail. The next trail I believe has the name of Pump House Trail. I did mention it rained Friday, right? We encountered several mud holes and there were a lot of slick spots on all the trails. You had to be careful on downhill portions keeping your proper distance from the rig in front of you. Going up some steep climbs you had to wait until the rig ahead of you was at the top before you began your way up. We finished the day by completing the Chapel Trail somewhere around 4 pm. All the CORE members headed to the camp ground were Fred, Robert, and Shelley had established a resting place before dinner. Mike and I reconnected our anti-sway bar quick disconnects and afterwards we all sat around shooting the breeze waiting for chow call. As I stated earlier the food was great and there was enough to have seconds if you wanted. After everyone had their fill and had moved their folding chairs closer to the raffle stage the anticipation of being a big winner was in the air. Tim Burnett with his standup comic act did an outstanding job again this year giving away great prizes. A list of prizes contained several winches (the piece of equipment that is used for trail recovery situations), hi-lift jacks, rock sliders, winch accessory kits (see above), floor mats, bikini top (for a Jeep), car cleaning supplies (to help remove the Virginia mud from your rig), $500 Mickey Thompson gift certificate, various other gift certificates and cards, and so on. Tim always makes the driver’s meetings and raffle fun and makes you feel good even if you didn’t win anything out of the $100 worth of raffle tickets you held in your hand. The proceeds from the purchase of raffle tickets goes into the pot for the total donation made to the ACS. So there really are no losers. After the raffle we said our goodbyes to Mike and Donna because they would not be on the trails with us on Sunday. Sunday morning we lined up in the same line we were in on Saturday. One of the rules for the event. This guarantees you don’t travel the same trails both days. Bob Weaver joined us on Sunday after working with some issues with his motor home. After the drivers’ meeting we all loaded up and waited our turn to pull out for the trails. 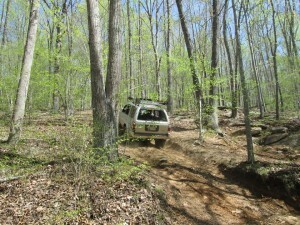 We entered the first trail by passing through the event camp ground, Bob’s Creek trail. We hit several trails with obstacles with names such as V Notch, Z Ditch, Finley Ridge, Turtle Rock (be careful on this one, you can easily roll over if you take the line to the driver’s side), and my favorite CJ-5. It was a great ride both days and the weather was perfect. No one broke, rolled over, had any major body damage, or injuries. 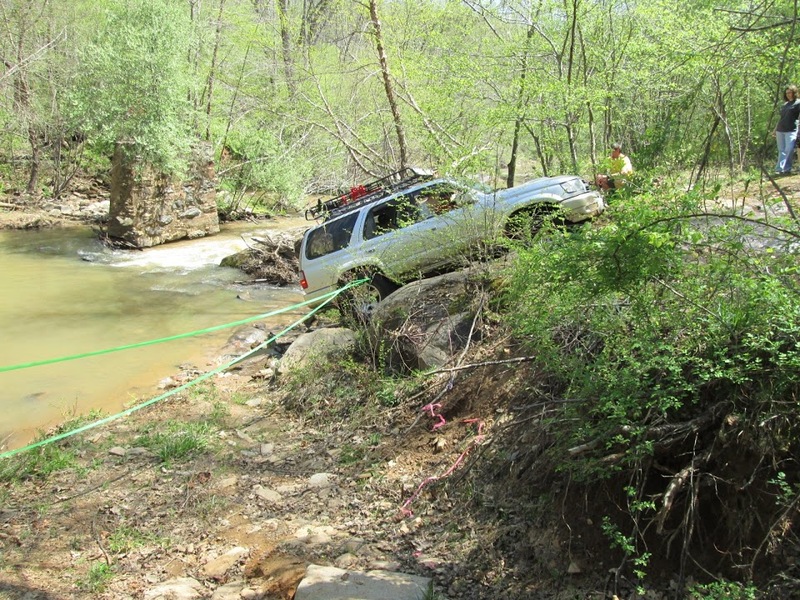 Our biggest incidents were two flat tires and an overheating issue. Everyone who entered the trail came off the trail under their own power. Hats off to Herb and Mike! Wow! What a great weekend. 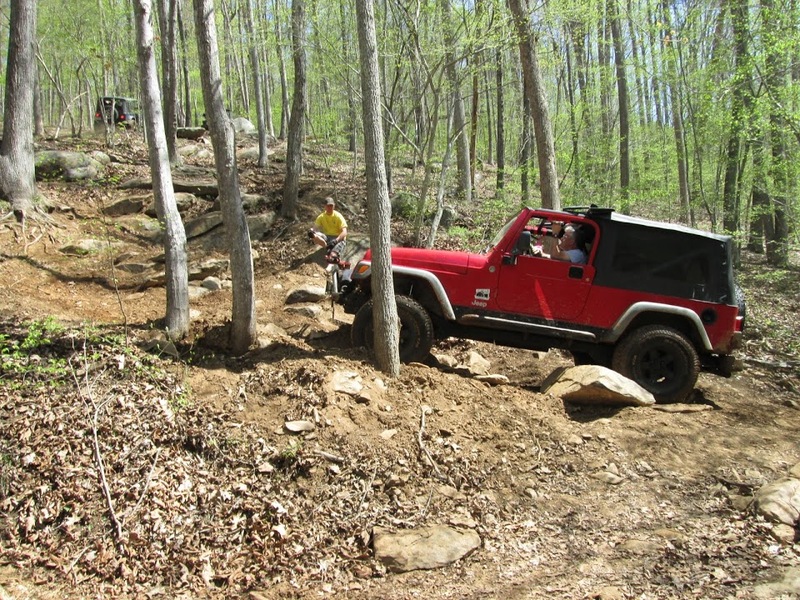 If you have never participated in Wheelin’ for Hope you don’t know what you are missing. We had seven CORE members, one potential member, and one former member (hopefully member again) attend this year. Remember you have to register early. 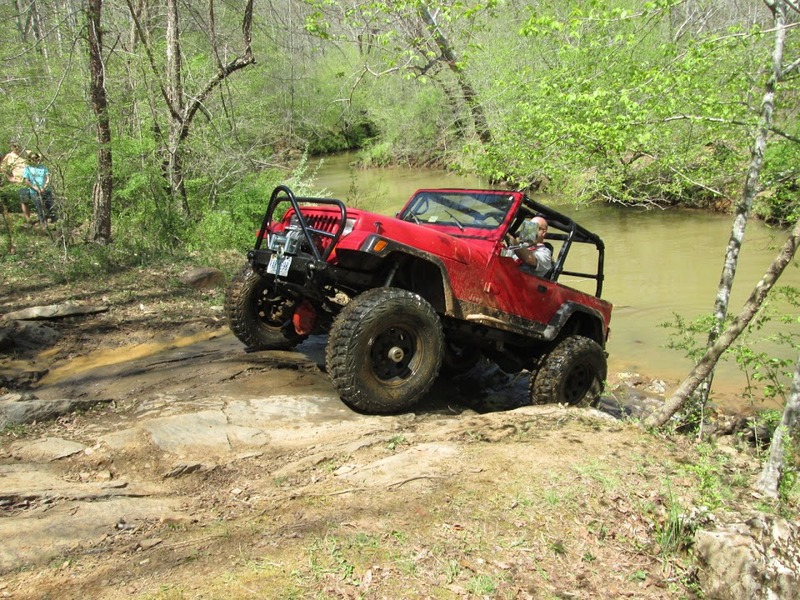 I’ll be the first one to register because I don’t want to miss out being on the Oak Ridge trails, meeting other off road enthusiasts, supporting a great cause, being with friends, having great trail guides, and Tim’s standup act. Disclaimer: If I have incorrectly named trails or obstacles; left out important details and misspelled names, I do apologize. My excuse is that I am getting old and can’t remember stuff. 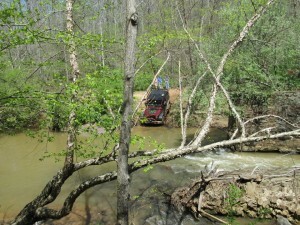 Trail report written by Larry Pope. Pictures courtesy of Larry and Berna Pope, Mike Vincenty, and Shelley Fitch. 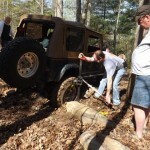 Trip Report Oak Ridge Estates, Wheelin For Hope. permalink.